We had another great trade show in Indy last week. It was great to catch up with so many customers and friends and even the weather was a bit kinder than in 2013. We showed off our new light weight harnesses and the FISW steering wheel. Both were well received and we had some lovely enquiries. Next trade show for us is Autosport Engineering on January 8-9 2015. See you there and we wish all our customers, suppliers and friend a Merry Christmas and a Happy New Year. 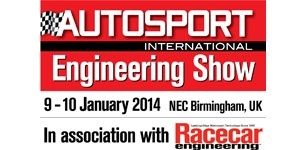 We will once again be exhibiting at Autosport Engineering in Birmingham. The dates of the show are January 8 and 9 2014. Come and see us on standE648 and see our new range of wiring harnesses and of course the brand new FISW FiA specified steering wheel. Ryan and Declan will be on hand forany questions or information you may need. We look forward to seeing you in Birmingham. 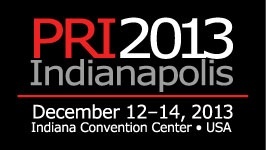 We will also be exhibiting for our third year at PRI trade show in Indianapolis, USA between Dec 12-14 2013. We will be on booth 4047 in the yellowhall. Please come along and have a chat. We can help with Cable Harnesses, ECU, Data Loggers, Sensors, and the new FISW Electronic Steering wheelbuilt by us in the UK and is distributed in the USA by MOMO USA. The guys will look forward to seeing you there. We will be exhibiting in Cologne this November at the PMW Expo. Dates of the show are from November 12 – 14th. We will be on Stand 5024.Amongst the new cable assembly examples we will be showing, we will also be displaying for the first time in public the new design of the FISWElectronic steering wheel. This now meets the FiA requirements and has a totally new look to it. More details can be found herehttp://www.motorsportcables.com/?q=content/steering-wheels New for 2013 on the stand, will be a member of our team manufacturing wiringlooms from start to finish. This will detail the work and skill involved in making a St Cross Electronics wiring loom. Please feel free to visit, view andask as many questions as you like. We look forward to seeing you.